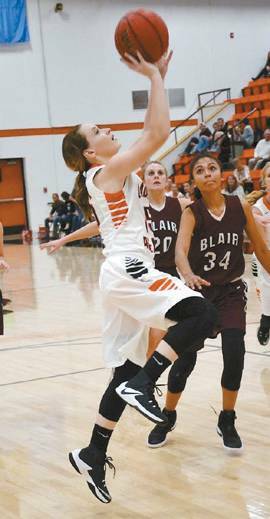 Amber Smith plays guard on the Cheyenne Lady Bears basketball team. Her parents are Melanie Anspaugh, Chad Smith and Sherry Smith and her siblings are Dixie Boyce-Smith, Ethan Smith and Drake Boyce. Her favorite food is hamburgers. Her favorite subject at school is Algebra ll.